I come from a long-line of women who love to read. The china hutch was my grandmothers. 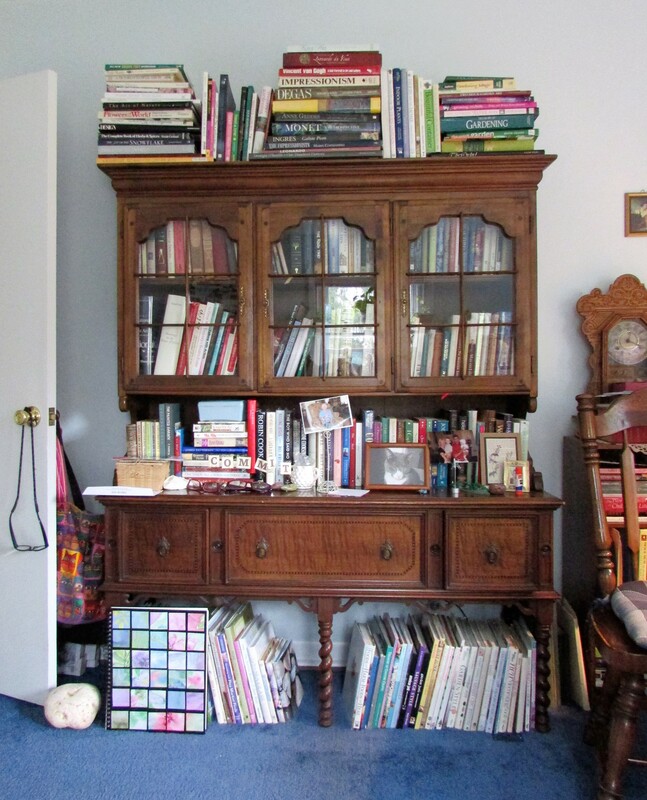 Granny was an avid reader; I think she would understand why I am using her hutch as a library, rather than keeping my mismatched china pieces inside. When I read the blogs of other readers, I am interested by what they loved as children. Although I still read daily, I’ve never quite found the magic in books that I did as a child. “My grandmother must have bought them used, because they were well-worn paperbacks. I have absolutely no idea what they were, or who wrote them. Yes, I have Googled, thank you. My memory describes them to me as Southern turn of the century historical fiction. Each book focused on a young woman in a specific family whose surname I do not recall. Each book included a mystery and clean romance in the plot lines. The ghost matriarch of this family (Augusta? Agatha?) haunted each girl with the smell of violets. You can read the entire post and comments at: Joeyfully Stated’s Blog Post – A Ghost So Old I Can’t Remember Her Name. If anyone has a twinge of memory as to what these books might be titled, and where they can be found, please comment here or on the Joeyfully Stated Blog. Thanks! I have my fingers crossed that it will bring an answer to the mystery. FUN! Sorry I can’t help here, but maybe a quick engine search might come up with something. As to finding magic in books as an adult, may I suggest Life of Pi by Yann Martel or The Alchemist by Paulo Coelho: they definitely are very special and will surprise and delight you in equal measure. Thanks so much…I will have to check those titles out soon.